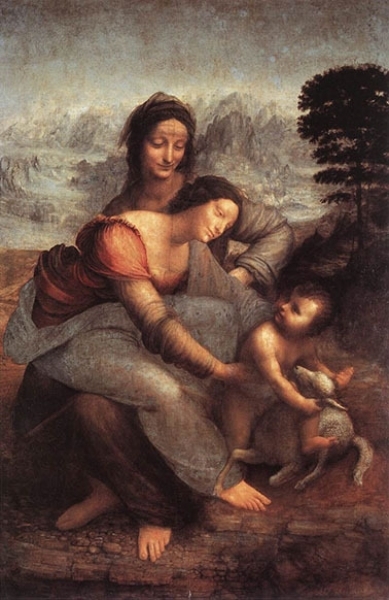 Event Description The Athenaeum Music & Arts Library welcomes back art historian Linda Blair with a new lecture series: “Leonardo.” For many years now, Blair has been one of the Athenaeum’s most popular speakers. Due to popular demand the same lecture is being offered two nights per week. See our website for details. How can we stretch our mere mortal minds to grasp Leonardo da Vinci’s genius in so many areas—science and art, engineering, mathematics, optics, geology, anatomy? The lecture series will cover the times and events leading up to Leonardo and then examine his life and works in detail. The lecture on Feb 4 and Feb 7 is titled "Leonardo." The world continues to be fascinated by the man himself, the source of his genius, the beauty and mystery of his art. The last two weeks will be devoted to an in-depth look at his paintings, taking note of his distinguishing characteristics in preparation for discussion of disputed Leonardo works. Fee Free Event, Light refreshments will be served. Street parking is available but limited, consider public transport or rideshare services if they are available. 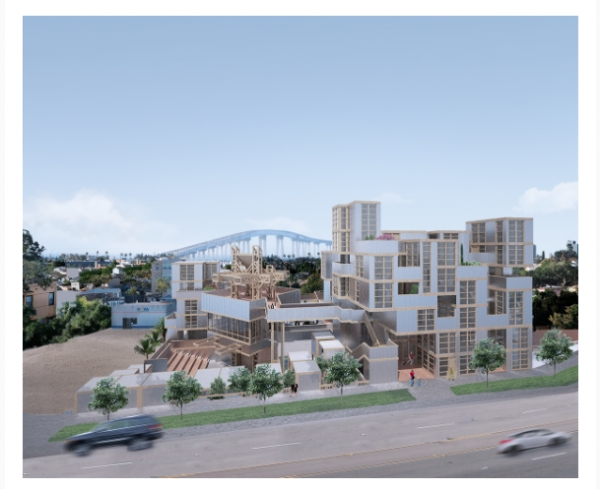 Event Description On Thursday, February 7th from 6-8pm at The Sandbox in San Diego’s East Village Space4Art will share an update on our Permanent Home project with the community. Our plans for the 35,000 square-foot facility on Market Street in Sherman Heights are ambitious and include 80+ below market rate rentals for artists, more than half of which are live / work spaces, as well as a large gallery, event space, classroom, amphitheater, and wood-metal shop. 10 years in the making and scrupulously planned to provide the greatest possible benefit to artists and our San Diego community at large, the Space4Art team will share the architectural renderings, timelines, and funding updates that will help us realize this ambitious goal during the presentation. Most importantly, Space4Art wants to hear from you — the community we strive to serve — and will collect survey responses, building on an initial data set of community objectives collected in 2009, and host structured breakout discussions. Fee FREE AND OPEN TO THE PUBLIC. Reception 5 - 7 pm On RECEPTION NIGHT ONLY park on Student LOT 1 in STAFF parking spaces. Event Description A new gallery and Fine Arts Building opens at Mesa College. 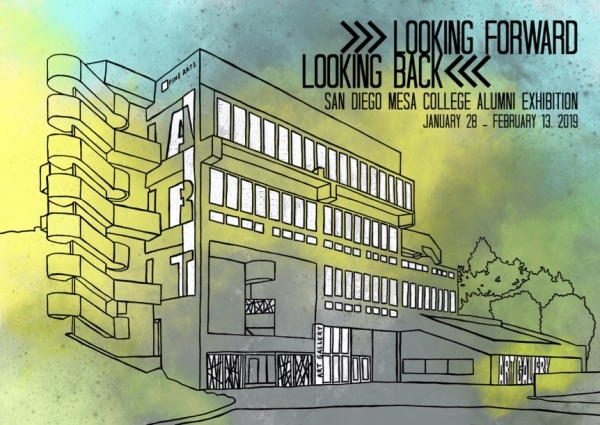 The inaugural exhibition "Looking Forward, Looking Back", features artwork by 47 alumni in a variety of media. Join us for this reunion and reception. Some of the artists included: Andrew Alcasid, Kim Garcia, Anna Stump, Grace­Gray Adams, Elizabeth Stinger, Nuvia Crisol Guerra, Akiko Mims, Michael Field, Eleanor Greer. Exhibition on view through February 13, 2019. For hours, parking, directions call (619) 388-2829 or go to our website www.sdmesa.edu/art-gallery. Gallery Director and Museum Studies Professor Alessandra Moctezuma and her staff are looking forward to programming exhibitions and events in this state-of-the-art space. They are looking back with this unique artistic reunion. The newly remodeled four-story Fine Art building designed by Architects HGW/ Hanna Gabriel Wells is located next to Student Services I-400 and rises up from Parking Lot 1 near the Marlesta and Genessee entrance to the college. 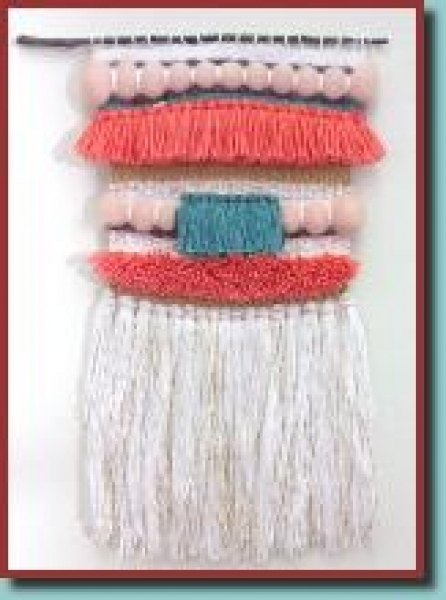 Event Description Join Lauren Becker Downey in this 4-week class and learn to weave!! Practice twills, plain weave, tapestry, sumac and more. Weave traditionally or create a 60‘s and 70’s inspired, richly textured and tactile piece of fiber art. Using a frame loom, explore basic weaving techniques or, if you already know how to weave, tighten up your skills with more advanced work. Be the envy of all your friends when they see your handmade work. Please bring a heavy dinner fork, scissors and wear your love beads. Peace & Luv. Pre-registration necessary. Thursdays, Feb 7, 14, 21 & 28 from 10am - 1pm. Bravo School of Art's new Beech Street Studio in South Park.